It is a truth universally acknowledged that I love books about Christmas! 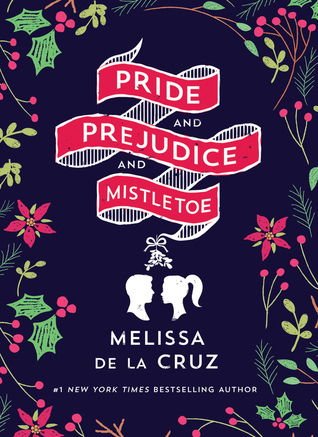 Pride, Prejudice, and Mistletoe by Melissa da la Cruz follows Darcy Fitzwilliam, a wealthy businesswoman who returns to her family home for the holidays. This book retells the classic story by Jane Austen, but from the perspective of a female Darcy. I was hesitant, but also kind of excited to read this book. The concept is really interesting. I haven’t read a Pride and Prejudice retelling with a female Darcy or set at Christmas. However, I’m not the biggest fan of Melissa da la Cruz’s writing and I heard mixed reviews towards this book. There were a few aspects I liked. I think Melissa de la Cruz did a great job accurately portraying a woman in a position of power and what the pressure and expectations that she faces everyday. Additionally, this book was a short, quick, and easy read that was perfect for the hectic Christmas season. However, this book was mostly a miss for me. I didn’t feel the connection between Darcy and Luke. I felt like nothing went deeper than surface level, so every character was very one-dimensional and only embodied one or two personality traits. Additionally, it didn’t involve Christmas as much as I expected, so it didn’t set it apart from other Pride and Prejudice retellings that I’ve read. Additionally, I found the plot to be a little all over the place and the pacing to be off throughout the entire novel. I could really only tell where in the story I was by benchmark scenes from the original story. 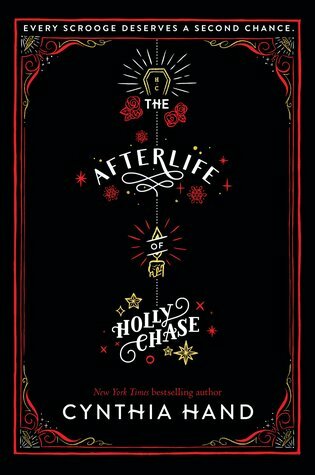 I was excited to read The Afterlife of Holly Chase as soon as I read the premise. The Afterlife of Holly Chase is A Christmas Carol retelling. However, Holly Chase (the “Scrooge”) does not change her ways. As a result, she ends up dying and serving as the Ghost of Christmas Past after she passes. 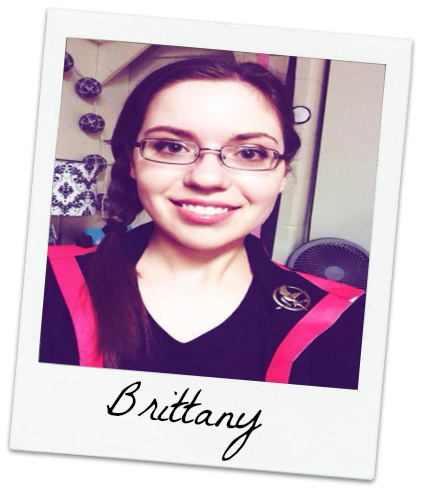 During this year’s Scrooge Project, she greatly identifies with the person selected and wants to help them change their ways. This book started off strong for me. Like I mentioned earlier, the concept is really interesting. I also enjoyed Cynthia Hand’s writing style. Hand was one of the authors for My Lady Jane, so if you liked the writing style in that book, you will probably enjoy this as well. I also enjoyed the character growth that Holly experiences throughout the novel. That being said, the novel did start to drag for me in the middle and towards the end as some aspects of the plot were repeated frequently throughout the novel. Additionally, there were some aspects of how time passes in the novel that created some uncomfortable situations in the novel. For example, Holly dies at seventeen, so it’s stated she’s stays at seventeen in her afterlife. However, the story begins five years after her death. During this time, she develops a crush on the new “Scrooge” who is seventeen years old. This just doesn’t it right with me. I also have mixed feelings towards the ending of the book. While I liked that the author made it unexpected and more about Holly as a character, it also did one of my biggest pet peeves. I don’t like when books make an ending that makes it feel like some aspects of the story never happened or when they drastically alter major life events for characters in the book. This book does several of those things, which make me feel “eh” about some aspects of the book’s ending. What are your favorite book that take place during Christmas or New Year’s?